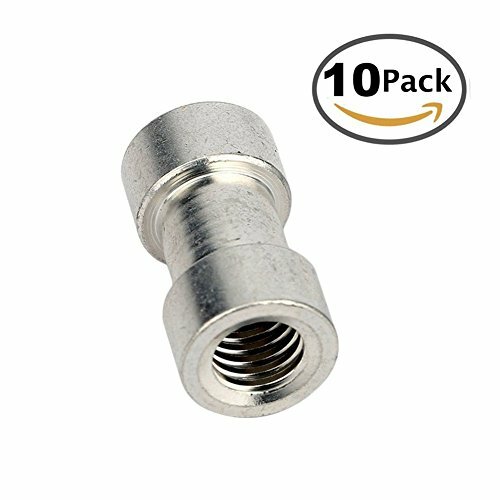 CAM-ULATA 1/4" Female to 3/8" Female Screw Convert Adapter Screw Spigot Stud for Tripod Flash Light Stand. - Precision made screws, Easy to use. - Very light weight and durable. - Great little piece of equipment to own for any photographer or videographer. - 10 x CAM-ULATA 1/4" Female to 3/8" Female Screw.